Special Baby Shower Gifts For a Girl: Mothership Shoe! Special baby shower gifts for a girl are not easy to find. Especially for a first time mom-to-be who knows they are having a girl. Some first time mothers become so excited with their pregnancy that they just need to know what they are having, so they can start their "nesting" asap! You need a little help; you want your gift for this upcoming female duo to be an incredibly unique keepsake that will be cherished - something so special it could easily become an heirloom! Luckily, Captured Wishes is here to help. 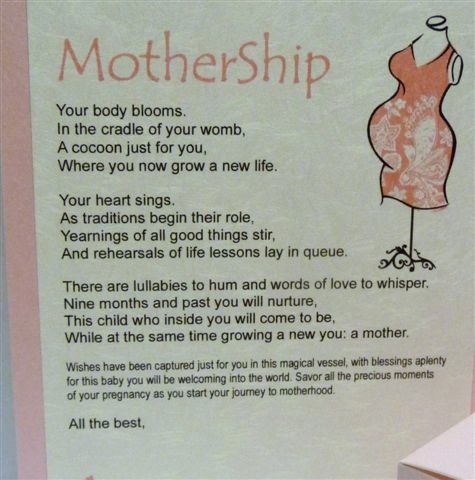 Gifts don't come more special or one-of-a-kind than our Captured Wish Mothership Wish Vessel for first time moms who know they are expecting a girl. Get ready to give the best "Welcome to Motherhood!" gift today in this complete package. All you need add is your love and signature. with wishes for a healthy baby girl with so much beauty - word charms such as baby on board, nurture and mother reflect the sentiments of the many who have gone through the same transformation. There's also a glitter mixture of pink and silver that surrounds the tiny shoe nestled comfortably in the glass vessel - a beautiful reminder of a little girl's first pair of shoes. Doesn't that make your heart melt? It's about all things pink, all wishes for a healthy girl and many wishes for a pregnancy filled with wondrous thoughts of the future welcoming a new life. The little star vessel holds wishes for a smooth journey through pregnancy and the excitement shared with the change of the future.